Simple....yet Elegant! This black chandelier's design was inspired from the beautifully crafted harp. Each arm has a scroll underneath and another that gathers in the middle. 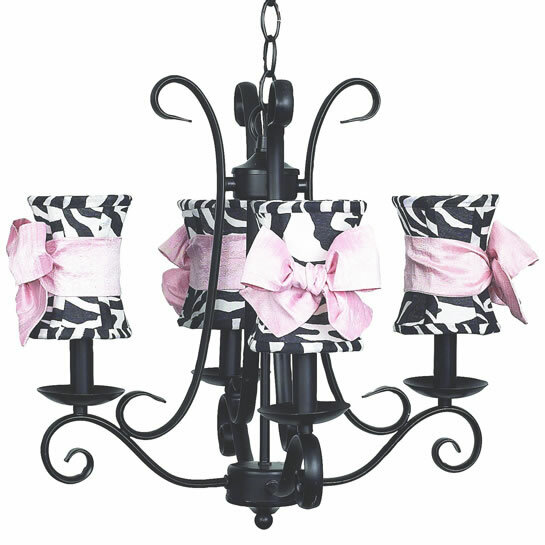 Zebra print shades with large pink ribbons accent this Jubilee Lighting piece. Available as shown or without shades. You may select from all children's chandelier shades.